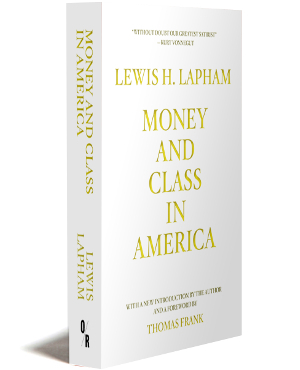 Lewis H. Lapham is the founding Editor of Lapham’s Quarterly and the Editor Emeritus of Harper’s. His columns received the National Magazine Award in 1995 for exhibiting “an exhilarating point of view in an age of conformity,” and, in 2002, the Thomas Paine Journalism Award. He was inducted into the American Society of Magazine Editors’ Hall of Fame in 2007. His other books include Money and Class in AmericaM, Fortune’s Child, Imperial Masquerade, The Wish for Kings, Hotel America, Waiting for the Barbarians, Theater of War, The Agony of Mammon, Gag Rule, Pretensions to Empire, and Age of Folly.